“If only I had more time!” is the cry of many fruitful people. We all feel so busy and simply burdened by all our to-do tasks. Sometimes, it can be really frustrating. I am sure you have been there? Time is one of the most treasured resources in the universe. God has given the sinner and the saint – both 24 Hours. Today business has become the norm. However, business does not always equal fruitfulness. We really need to remember that. 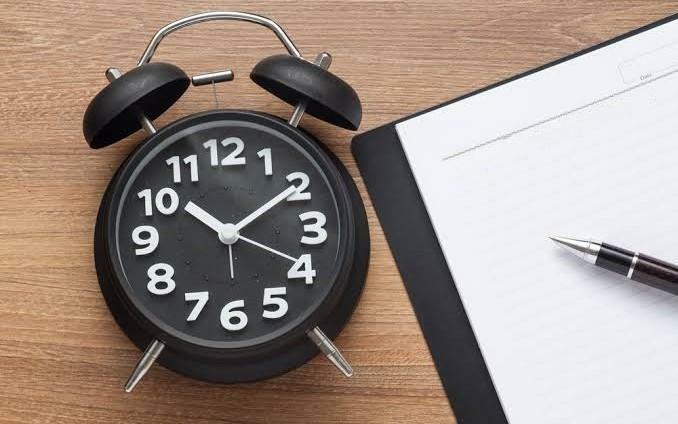 As Christians, time management is very important because God calls us to be good stewards of all that He has entrusted to us, Some people think that time management means stuffing your schedule as much as possible. This thinking is erroneous. Firstly, always use the scheduler, a calendar to manage your appointments. Even if you are a house-wife or a student. This will help you plan your time properly. Secondly, before committing to anything, meeting anyone etc I always ask, is this really important in the eyes of God? Will this bear fruit for the glory of God? Lord Jesus gave us an important principle of priorities. “But seek first the kingdom of God and His righteousness, and all these things shall be added to you.” (Matthew 6:33) Always give time to your priorities. Keep your mind focused on the important tasks. Thirdly, managing time efficiently means you cannot say ‘yes’ to everyone. Time management includes saying no to certain things. There are many people who say yes to ever thing and have messed up their lives running around exhausted and frustrated. Lastly, I always pray that the Lord would give me wisdom and understanding to manage my time efficiently. For example: whenever I am get an invitation to preach, I immediately do not say ‘yes’. I take it to the Lord in prayer. I also pray every day that the Lord would keep me from fruitless pursuits. You too must incorporate these points in your prayers. Another, important tip concerning time management that I use is, I ask for help. I often enlist the help of my wife and children for assistance around the house. Don’t be shy to ask family and friends to help you out when needed. By managing our time, we can be more productive—and less stressed, more able to fulfill our calling which will bring glory to God. Father, in the name of Jesus, give me wisdom, understanding and discernment to manage my time efficiently.